Giacomo Puccini lived in Lucca till 1880 and he was deeply tied to the city so, notwithstanding he was travelling or living elsewhere, he loved to visit his friends and his hometown. 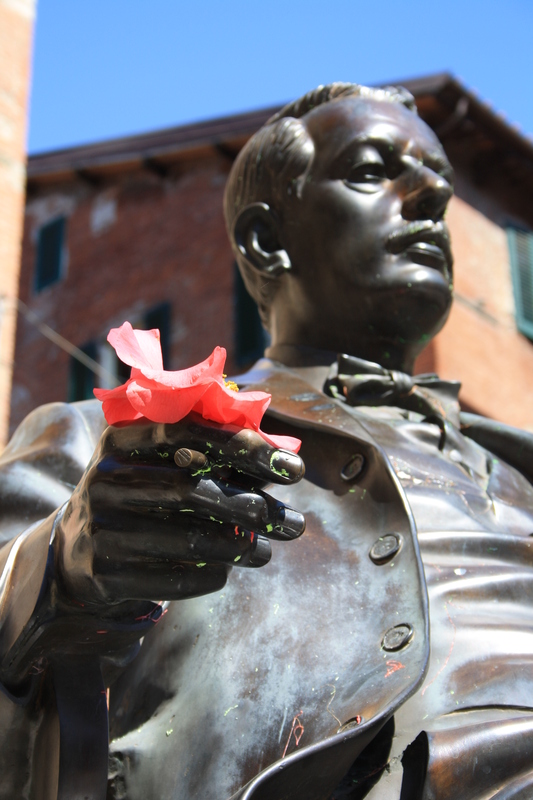 So there are a lot of places in Lucca associated with the life and music of Giacomo Puccini. The following are to give you an idea of the chances we have to find the Maestro’s marks in Lucca. A Puccini tour in Lucca is higly customizable depending on your exigencies: click HERE to find out some ideas. the Teatro del Giglio where Puccini’s operas have been staged. It is possible to visit the Teatro booking in advance (about 2 euro per person). Palazzo Pfanner, with its beautiful Italian Garden and the rooms depicted with trompe l’oeil, as a member of the family Pfanner was the personal doctor of Giacomo Puccini. The visit will last about 1 hour (fee required).